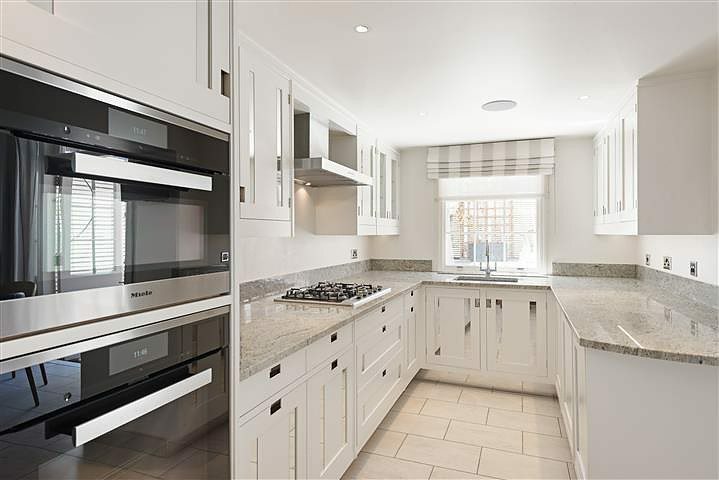 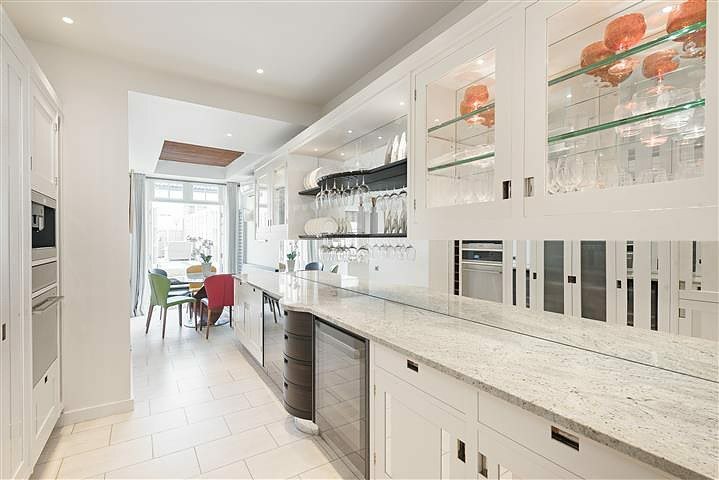 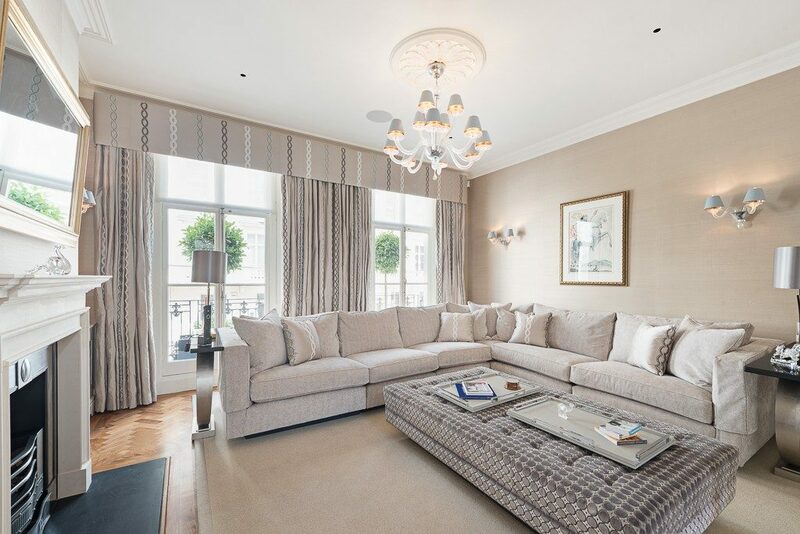 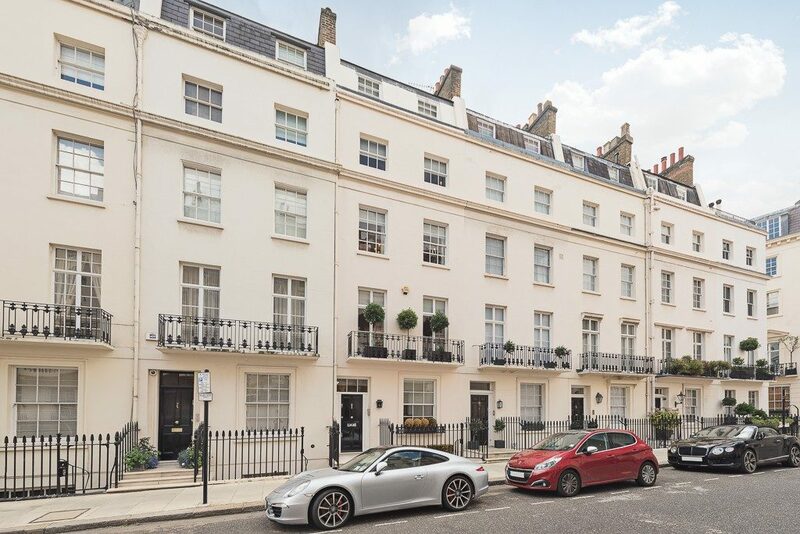 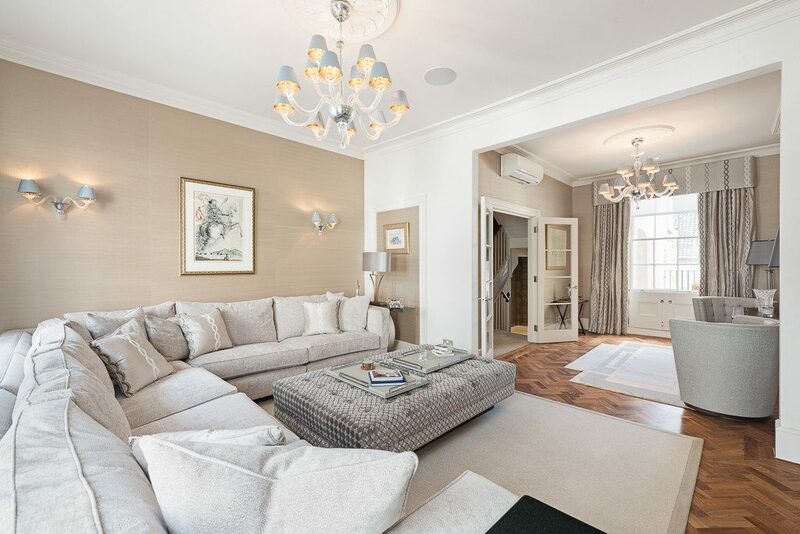 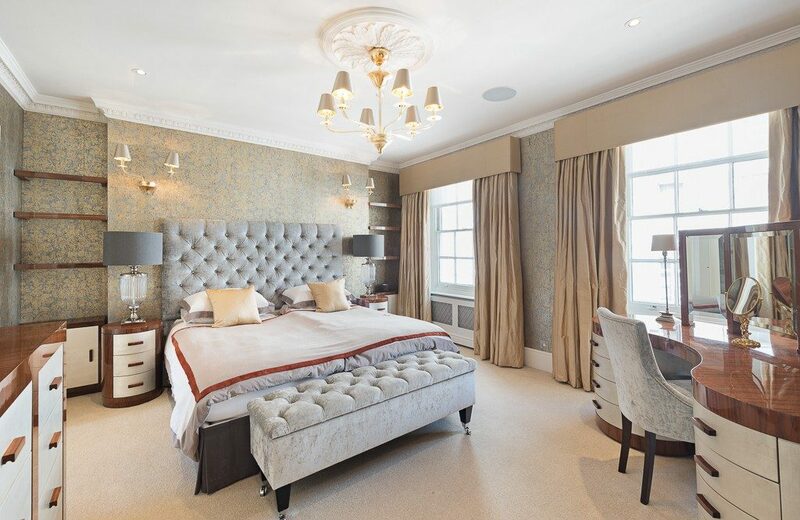 A stunning and well-presented 5 bedroom townhouse to rent in Belgravia, SW1. 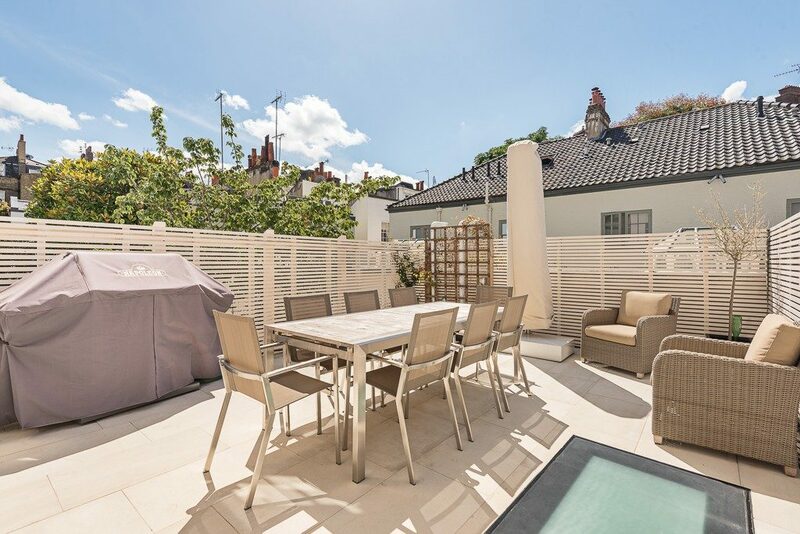 The house has an abundance of reception space and a private south face patio garden. 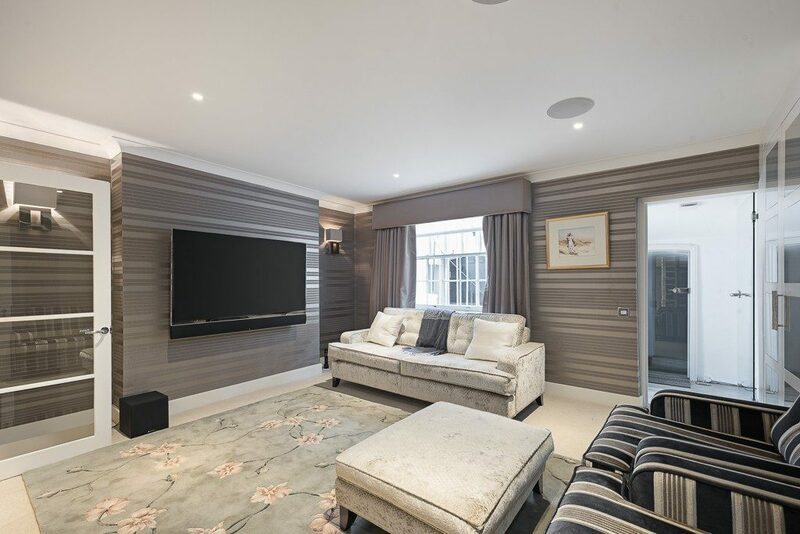 Accommodation comprises of 4 bedrooms with 2 of them boasting dressing rooms, reception room, dining room, media room, play room, kitchen/breakfast room, guest cloakroom, utility room, a roof terrace, patio garden and a self-contained room for staff on the lower ground floor. 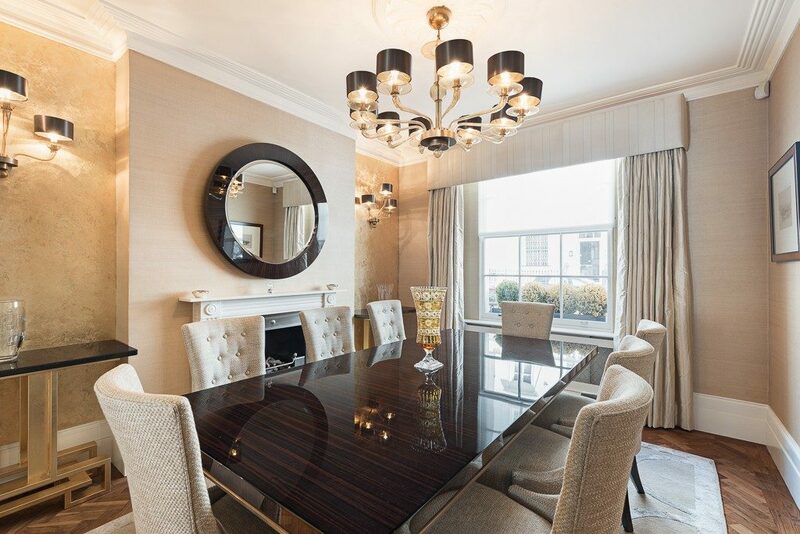 Available furnished or unfurnished for a long let. 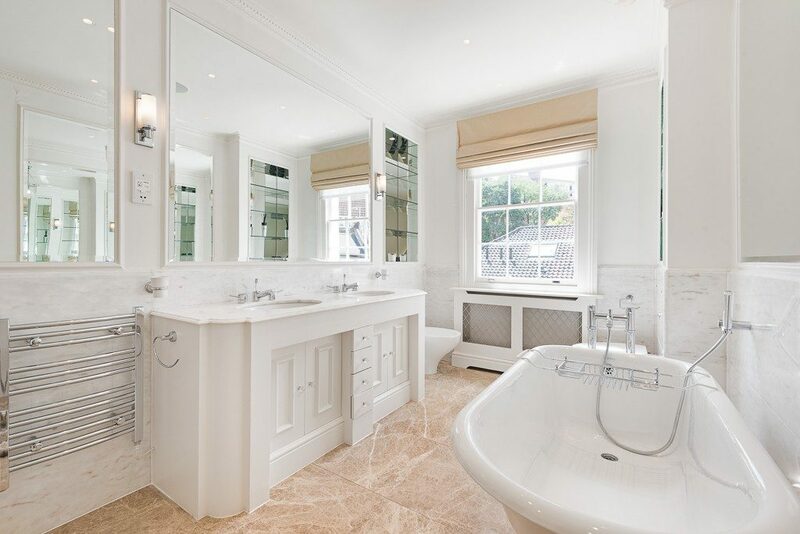 Approximately 385 sq m (4,144 sq ft).